Tickets to the heaviest of metal festivals and a rock-ready electric could be yours! 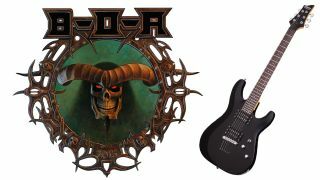 If your summer is distinctly lacking in metal, then a trip to Bloodstock Open Air festival would be well advised - fortunately for you, we have a pair of weekend tickets (worth £270) to give away, plus a Schecter C-6 Deluxe (worth £255) thanks to the very good people at Professional Music Technology. Held across 6-9 August in Derbyshire, this year's festival boasts the likes of Trivium, Within Temptation, Rob Zombie, Opeth and Black Label Society among its line-up. For more information, head over to Bloodstock and Professional Music Technology.